Unwanted hair is an even bigger problem than usual when swimsuit season comes around. Here are almost permanent and painless ways you can get smooth, hair-free skin. It's one of those annoying little time-consuming problems that just keeps coming back no matter how many times you think you've tackled it: unwanted hair. Summertime means flaunting a lot more skin, which you'd prefer to be smooth and hair-free. Most of us have consigned to the pain of the waxing strip, the hassle of the daily shaving regimen, and the return of the irritating ingrown. We consistently step up to the plate with a razor or spatula in hand. However, as with many other problems, technology comes to our rescue with a new way of getting smooth, hair-free skin. You've probably heard about the availability of laser treatments, but here is the lowdown on The Strip: Ministry of Waxing and The Spa’s SKIN Dermatology & Laser Center—two great options to suit your preferences and abolish the problem more or less permanently! Quick, Whitening, And Absolutely Painless! 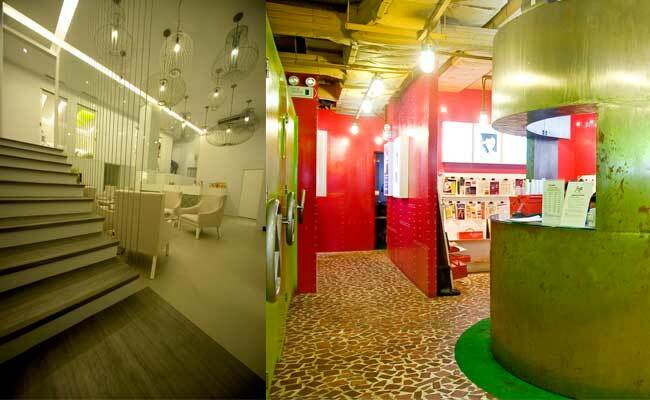 The Strip: Ministry of Waxing is a sassy, fun studio that doesn't just offer world-renowned, quality wax services, it's also up-to-date with the latest laser fixes. Strip offers Intense Pulse Light (IPL) treatment, using one of the best machines in the market, which they call Advance Pulse Light (APL). This machine was made to ensure your maximum comfort and value for your money with its effectiveness--the two things we want most out of a treatment! APL uses motion pulse light and a significantly lower dosage of energy—meaning it's not strong enough to risk burning your delicate skin (ouch!) and can go over the same area repeatedly. All of us who have braved the trial-and-error test of various hair removal options, particularly waxing, can fully appreciate this next feature: it is painless. The attendant will apply cold gel on the area to be treated, and you will feel practically nothing as the machine glides over your skin--even on particularly sensitive areas like your armpits. The whole process is finished within a few minutes, since they are able to target several areas at once. After about six sessions of APL, there is up to 80 percent hair reduction and hair becomes very fine. Even as such, APL technology can still detect and zap these fine strands. It is effective even on tanned skin, and can detect even the lightest colored hair. It has subtle whitening effects, too, which is probably the effect of the light and the result of reducing the friction on your skin--you can bid waxing and shaving goodbye forever! 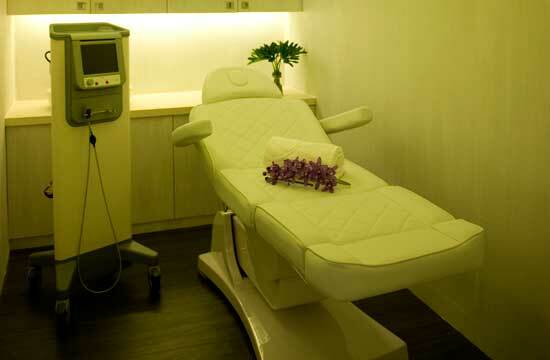 The Strip offers APL treatment for the underarms at P5,000 per session (for females). So, the recommended six to eight sessions will cost you around P30,000 to P40,000 (spread throughout six months). It may seem a bit steep offhand, but consider how much you'll save in the long run by not having to wax ever again and the great investment of having flawless, lighter, hair-free skin almost permanently (you may need to come in for one follow-up treatment each succeeding year--but what's once a year compared to painfully waxing every two weeks or shaving daily, right?). APL can be done on other areas of the body as well, such as the legs, back, upper lip, and even the bikini line. But, in case this is something that you're still saving up for, you can also try The Strip's safe, hygenic waxing services and a variety of good-quality post-wax care products. Visit The Strip at 2/F Serendra, Bonifacio Global City or 4/F Greenbelt 5, Ayala Center, Makati. For more info or to book appoinments call 901-0892 for Serendra or 501-3997 for Greenbelt, or check out www.strip-manila.com. For another almost permanent hair removal option offered at a spa and at a slightly lower price (but still as effective), check out the next page. The Spa--which is more familiar to you for its health and wellness packages, soothing and relaxing massages, and luxurious body treatments--has gone deeper into the beauty world with SKIN Dermatology & Laser Center. Here, not only can you get your regular facials and peels, you can also consult a dermatologist, avail of their weightloss treatments, and try another kind of laser hair-removal procedure. Diode Laser Hair Reduction uses an ultra-modern diode laser plus radiofrequency to get rid of unwanted hair. Diode is recommended for all skin types, works even on light-colored hair, and also promises almost permanent reduction (after completing four to six sessions based on your hair's thickness, you need only return once a year for maintenance/touch-up sessions). However, while it is not as painful as getting a wax, you would still feel a dull stinging sensation with the Diode--it's very minimal, comparable to someone snapping at the area to be treated, say your underarm or upper lip. The process also takes a bit longer than getting an IPL, since the dermatologist who administers the Diode would literally zap every single hair root with the laser tool. You may find that the slight discomfort from the very slight pricking or pinching sensations is compensated with its price. Diode is relatively easier on the pocket than IPL. You can get eight sessions of Diode for the underarms for P24,000 (that’s six sessions priced at P4,000 plus two free follow-up sessions you can avail of in succeeding years). You can also try other beauty services at SKIN Dermatology & Laser Center, such as facials, diamond peels, skin rejuvination spot treatments, and Ultrashape Body treatments--after a thorough consultation with their in-house dermatologists. SKIN Dermatology & Laser Center is located at The Spa Wellness at the Fort, Building 8, 908 Bonifacio High Street, Bonifacio Global City, Taguig City. For inquiries, call (02)403-8000, (02)856-5858, (0918)8.THESPA or visit www.thespa.com.ph. Launch the gallery to view photos of SKIN and The Strip's facilities and services.